Looking back from the future, we may remember 2017 as the year in which “overtourism,” “tourismophobia,” and “tourism fatigue” were finally recognised as critical global challenges. As a result, sustainable tourism became one of the hottest topics in place branding. Make no mistake: overtourism is real and it is here to stay. Having said that, could overtourism be a bit like obesity? The similarity is entirely conceivable. Overtourism, too -at least for now- concentrates in specific geographies. The disease has been most visible in cities such as Barcelona, Amsterdam, Palma de Mallorca, and Venice. The irony is that, while some destinations are showing signs of tourism fatigue, so many other places yearn to attract more visitors. Some of them are historical places, recognised around the world. What’s more puzzling is that some of them are almost within a stone’s throw from top tourist destinations in the world. Letoon is not alone. Troy, a place which UNESCO describes as “one of the most famous archaeological sites in the world,” has a similar story. [vi] Homer immortalised the epic battle of Troy in the Iliad. That myth has been inspiring artists throughout the world ever since. To illustrate, the famous film Troy, which featured Brad Pitt, made almost $500 million worldwide back in 2004. [vii] The actual archaeological site of Troy, though, failed to attract 500 thousand visitors 11 years later. Clearly, this is not a country, region or even culture-specific issue. It is neither a matter of transportation nor promotion. The lack of attractiveness of archaeological sites is a systemic problem, which requires a thorough analysis and a fresh approach. “Problems are simply the dense outer shell in which fantasies are wrapped,” says depth psychology. That’s why our starting point will be to understand the fantasy of voyage. Why do we travel? The motivation to travel has been the topic of many researches. One of the more roboust studies is the work of Tinsley and Eldridge, a research spanning over 15 years. They demonstrated that motivations such as seeking novelty, belonging, escape, relaxation, enjoyment, stimulation, and self-expression are the main forces behind all travel behaviour. [xi] Based on some iteration of those key drivers, dozens of universal traveller segments were identified. Segmentation studies show that not all tourists are interested in visiting an archaeological complex. Most want to relax, some want to discover, and few want to rejuvenate. The reality is that just a handful of traveller types are open to visiting a historic site. Of those segments, “one” is particularly motivated to visit the sites of historical significance. Such visitors are often referred to as Sage Travellers, people who research the history extensively and know as much as the guides do. The rest of the travellers that visit an archaeological site are; Checklisters, who judge the success of their trip based on the number of well-known sites they saw (sense of accomplishment); Samplers, who attend a broader array of sites and attractions without going in depth (fear of missing out); and Show-off travellers, who yearn to gain social status by being able to brag about all the famous places they have been (social status). To sum, most travellers are not interested in visiting a historical site, to begin with. And of those who do, only a tiny portion is fascinated by archaeological complexes. The rest sees the visit as a duty. First, tourists who visit most historical complexes roughly account for just five to ten percent of total travellers. Second, and the more important problem- the entire visitor experience at the historic site is engineered towards satisfying the desire for factual information of sage travellers, who are already captivated by archaeological sites. The key word here is captivate, which means to overpower and seize by excellence or beauty. But before we dive into that idea, let’s analyze archaeological complexes a little bit more. Historical sites are a subcategory of museums. That’s why, to unlock an archaeological complex’s full potential, we first have to understand the psychological transformation visitors go through at a museum. Socially-motivated visitors see a museum as an attraction -like a concert- demanding comfort, fun, ease, and energy. Intellectually-motivated ones (the so-called sage travellers) view a museum as an archive and expect critical engagement, factuality, depth, and focus. For the emotionally-motivated travellers, a gallery is a wonderland –not unlike Disneyland. They yearn for deep sensory and intellectual engagement, a feast for the eyes, and sense of discovery. Finally, for spiritually-motivated guests, a museum is a temple, in which there must be food for the soul, spiritual sustenance, and right ambience. As a rule of thumb, half of museum-goers are socially motivated, and one third of them are intellectually driven. The rest is heavily skewed towards emotional motivation. 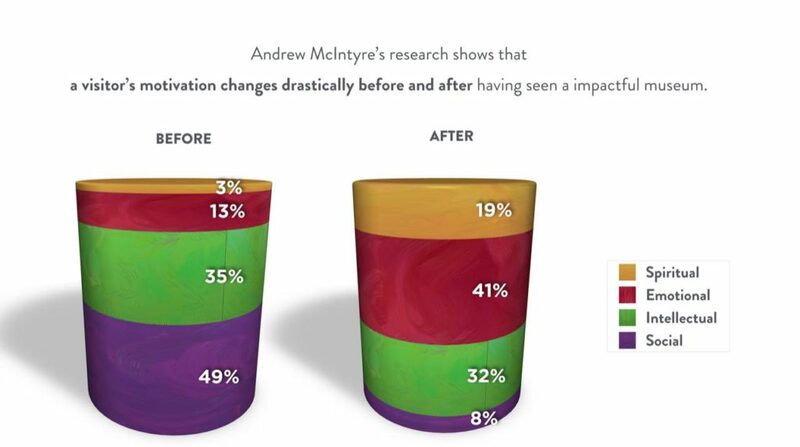 What’s intriguing is how drastically a visitor’s motivation changes before and after having seen an impactful museum. Successful museums offer a transformative experience. They turn a social outing into an emotionally moving soulful experience. They captivate their audience, which is a task most archaeological complexes fail. Why would that be? The answer is hidden in the language we use. There lies the first problem: Subliminally, we perceive archaeological sites as dead, which also implies they are insensible, inactive, and dull. Those are the polar opposites of captivating. The second problem is the issue of relevancy. The modern society unquestioningly and universally accepts that time is linear. With that line of thinking comes the pre-eminence of progress. Our insatiable yearning for the forward walk makes things of the past obsolete and irrelevant, as in the case of mythology and historical sites. 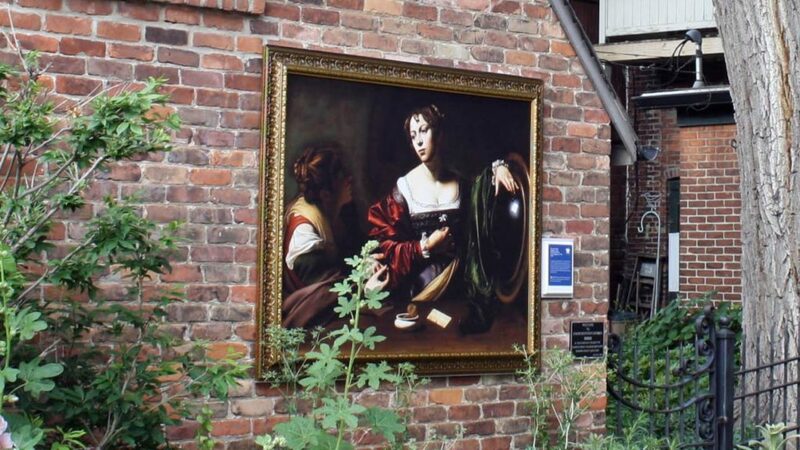 The third problem, there is a communication barrier among museums and visitors. The conversation is one-sided, the language is boring, and the topic is forgettable. On condition that we treat archaeological sites as dead and irrelevant places and tell their story factually, the systemic problem of undertourism will continue existing. To make an archaeological site more attractive, we have to treat it as alive, relevant, and a narrative. To put those stats into perspective, the supermarket customer lingers longer at hair care, skin care and baby care shelves than viewing a work of art, spending almost a minute on average deciding. Sadly, the engagement between the visitor and the museum is a checklist in its nature. Such a dynamic applies particularly to archaeological sites, which are filled with collapsed columns and broken statues. How could you interact with the dead? You cannot. That’s why, the first step should be to add beauty, to appeal to the senses, and to create aesthetic pleasures. We should de-anaesthetize archaeological complexes. There are numerous ways of breaking the script of the visitor’s otherwise dull experience. One simple and proven tactic is to add a layer of excitement by changing the visitor’s view angle. 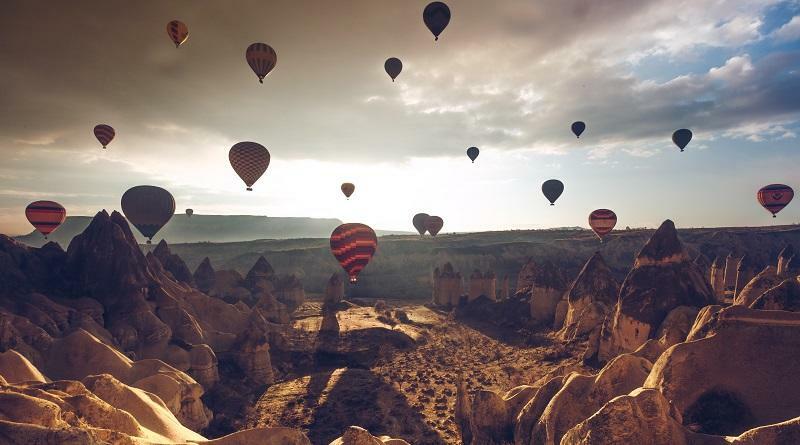 Places like Bagan in Myanmar, Cappadocia in Turkey, and Teotihuacan in Mexico are notorious for offering once-in-a-lifetime experiences through hot-air balloon rides. Another tactic is offering night tours. Most archaeological complexes are open only during the day, which means heat, brightness, and crowd are an integral part of the visitor’s experience. The same site, however, becomes more mysterious once the sun goes down. As the imposing grandeur of the complex shrinks in the dark, visitors start concentrating more easily on details. 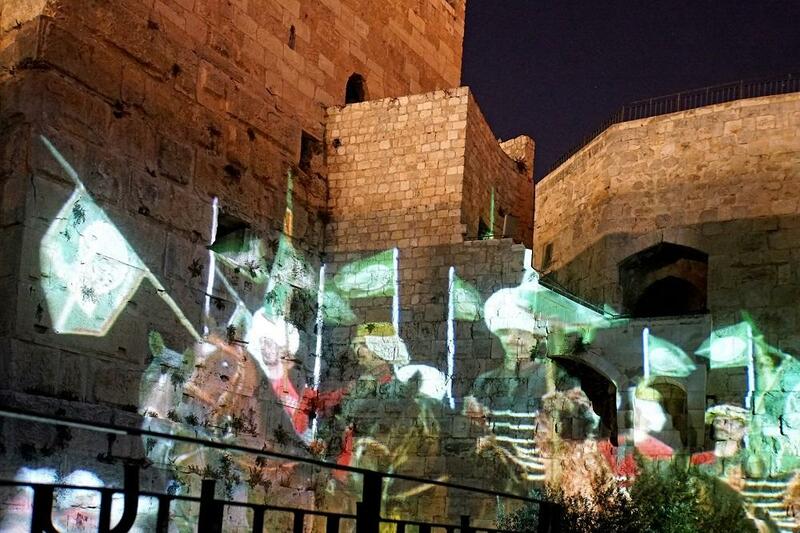 At that point simple light shows -even better, projections like at the Tower of David in Jerusalem– could help the place come alive. Being alive means stimulating all senses, including the sense of hearing. One of the best practices is Ephesus in Turkey, which periodically uses the Great Theatre, Celsus Library, and Odeon for classical music concerts. Such a tactic could occasionally attract unexpected guests and creating a newsworthy story. The use of augmented reality is another alternative. Through technology, a trip to an archaeological site could quickly turn into a fantastical experience. For example, visitors to Berlin use the Timetraveller app to virtually reconstruct the Wall. Likewise, an ancient city could be visually rebuilt. Historical figures could serve as virtual guides. To create a more memorable experience for kids, even a ghost-chasing game could be designed. Finally, one common property of living organisms is that they all move. An archaeological site, too, could be in motion. By displaying some artefacts in unexpected areas such as airport terminals, metro stations, and even Main Street -like the Detroit Institute of Art does- the archaeological site could create intrigue, not to mention awareness. As the American Association of Museums states, small, temporary, flexible excursions beyond the museum walls can provide opportunities for innovation and experimentation. Same goes for archaeological sites. All of those tactics could help enliven a rather dull experience. While that is undoubtedly a step in the right direction, still more work is required. As discussed above, modern culture predominantly views time as linear. What’s passed is passed is a famous phrase. If the goal, however, is to attract more people to an ancient site, then we need to make past relevant. Luckily values, yearnings, and callings do not follow linear time. They exist in psychic time. They just need to be re-interpreted occasionally to become relevant again. The key to relevancy for an archaeological complex goes through connecting the dots between what mattered in the past with what is popular right now. To illustrate, the UNESCO-recognized ancient city of Hierapolis was notorious for its hot springs, spas, and great baths even two millennia ago. Historians state that people from around the world used to come to Hierapolis for its healing and therapeutic effects. Clearly, today health, wellness, and cleansing are megatrends. So, reinventing the modern city near Hierapolis and making it an exciting hydro-thermal wellness destination would make the ancient site more relevant. Relevancy could also be found in mythology. Ancient cities were not located haphazardly. Our great ancestors used to believe that every place had a protective spirit. They called it genius loci. That spirit accompanied a place from birth to death, determining its character. Because of that, every city had its unique persona. To give an instance, the ancient city of Delphi in Greece had an exceptional respect for Apollo, the God of science, prophecy, music, poetry, astronomy, the sun, and light. By itself, that’s not a relevant piece of information, for today, the majority of the world’s population practices a monotheistic religion. That’s said, there are still ways of applying ancient wisdom in today’s world. Going back to Apollo, we could shift our focus from the God to what comes after of. More specifically, if the Olympian deity stood for astronomy, then why not invite the great science popularizer Neil deGrasse Tyson to give a speech about cosmos at the great theatre of Delphi on a starry night? Or if Athena was the protector of heroes, then why not organize a panel discussing the parallels among the Greek goddess, Wonder Woman, and modern women? By connecting the values for which the deities stood for with contemporary issues and figures, we can bridge the past and the present. A third way is using the ancient ruins for the original purpose they were built. For example, back in the day athletes used to compete, not for themselves but to honour the gods. So, how about organizing a friendly race for kids at the Coliseum? Or have poem reciting courses by the temple of Apollo? Or organize intimate ceremonies for couples, who want to renew their vows at the shrine of Hera? Last but not least, it is not a coincidence that many museums have reputable restaurants. Cafe d’Art in Tokyo is as big of an attraction as the Hara Modern Art Museum. Likewise, Nerua in Guggenheim Bilbao offers a gustatory sensation. Experimenting with fancy new cuisines is one of the favourite pastime activities of urbanites. An ancient site, too, could have a restaurant -but maybe with a twist. How about an eatery that offers authentic dishes from times long past, which are made only with locally-grown, geographically-indicated organic crops? We can take this idea even a step further by tapping into another dominant trend: the quest for betterment. The restaurant could offer culinary classes, during which visitors would learn to make genuinely authentic -even better historical- dishes. Finally, museums could make themselves more attractive by drawing on the power of storytelling, which is the most memorable mode of communication known to mankind. In fact, Jennifer Aaker, a professor of marketing at the Stanford Graduate School of Business, says that people remember information when it is weaved into narratives “up to 22 times more than facts alone. [xiv] Let’s find out why. What is a story? In essence, a story is facts wrapped into emotions. According to the triune brain model, a mammalian brain consists of three evolutionary layers: the primitive brain (reptilian complex,) the emotional brain (limbic system,) and the smart brain (neocortex. )[xv] While this might be an oversimplification of the actual structure of the brain, it is still a roboust working model. The neocortex, which is the newest section of our brain is responsible for all higher-conscious activities such as language, abstract thought, imagination, and creativity. However, despite being the largest part of our brain, the neocortex is also the least influential one. It often takes a back seat to the emotional brain, which is our fast, unconscious evaluation and response mechanism. That’s why we remember stories far more efficiently than facts. “The phenomenon is always more interesting than the explanation of the phenomenon,” says James Hillman. Be that as it may, when we analyze the language used by museums, we notice that they systematically focus on the explanation, almost entirely ignoring the experience. Focusing solely on factual information dis-members memory, cutting off its limbs. Luckily museums can re-member that dismembered body. One example is the Tenement Museum in New York, which focuses on America’s urban immigrant history. They, however, do it in a fun, playful, and pervasive way. The actors at the museum interact with visitors as if they still live there. They can answer only past-related questions. Edinburgh, too, creates memorable experiences by making use of professional actors, who work as guides. Instead of listing facts, the city offers guided ghost tours, during which visitors could learn about the mysterious past and notorious residents of Edinburgh. Such theatricality could certainly help promoting an archaeological complex, particularly to families with kids. Arguably, the gold standard in storytelling, however, is live cinema. It is still a relatively new concept, which brings together experimental approaches to films. Rather than screening a traditional film, a live cinema performance allows artists the freedom to experiment and improvise. You can think of it as a blend of cinema, theatre, concert, and role-playing. Several museums try to tap into that approach. To give an example, thanks to its Life and death in Pompeii and Herculaneum live cinema event, the British Museum allowed its visitors to immerse themselves in the lives and homes of the people who lived nearly 2000 years ago. Philadelphia Museum of Art is another pioneer in creating pervasive experiences. Through multi projection installations, it invites viewers to consider the museum’s collections in an interactive way. Archaeological complexes, too, could benefit from storytelling. They can turn the ancient site into one big theatre scene, or create opportunities for role-playing, or put pervasive learning experiences to use. By doing so, they can boost their attractiveness, transforming themselves into a place where people would desire to visit. While many destinations battle against overtourism, most archaeological complexes have not even scratched the surface of their potential. Like many museums around the world, they are having an existential crisis. Luckily, by re-visioning those historical sites as remarkable narratives, we can bring them back to life and make them once again relevant. Günter Soydanbay is a passionate place branding strategist and an insightful thinker, who has years of experience working with cities and countries. Holding a B.Sc. in Psychology, his thinking is heavily influenced by depth psychology. He also has an MBA degree from McGill University with a concentration in Strategic Management. 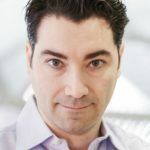 Connect with Günter Soydanbay on LinkedIn, follow him on Twitter or visit his website.